During a recent pleasant afternoon conversation with cousin Blanche our conversation turned to dentists. Like so many other people, Blanche dreads going to the dentist. She told me she grips the arms of the chair so tightly that her dentist has been known to ask her if he is hurting her. I was curious. "When did you first visit a dentist?" I asked her. She told me she was about fifteen years old. "I suppose you went to Little Washington. Is that right?" "No," Blanche said. "A dentist came to Ocracoke, and set up his equipment in his rental cottage. He was young. I think he had just recently graduated from dental school." "What kind of a drill did he use," I asked. "Oh, he had a foot powered, treadle drill," she answered. "Of course, there was no Novocaine," I commented, knowing full well that was the case. It wasn't difficult to understand Blanche's fear of dentists. 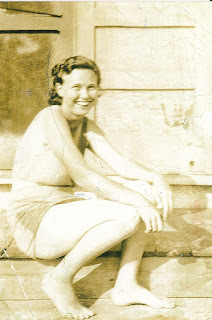 Blanche then proceeded to tell me that her mother, Elizabeth Ballance Howard (1885 - 1970) had two gold teeth. She, too, had her dental work performed on the island by a Dr. Gallagher, who came to the island each summer for several years around the turn of the twentieth century. He, too, brought all of his equipment with him, and treated islanders as he was able. Sometimes I get nostalgic thinking about "the way Ocracoke used to be," but then I think how fortunate I am to have access to modern dental care! When nineteenth century life savers arrived at the scene of a wreck one of their first jobs was to fire a projectile attached to a "shot line" to the stricken vessel. Once the shot line was retrieved by the sailors on board, it was hauled to the ship. On shore the keeper of the life saving station would have attached the "whip line," the "tail block," and a "tally board" to the shot line. The tally board instructed the shipwrecked crew how to secure the block and whip line to the ship. Next, the life savers rigged the sand anchor, the hawser, and the breeches buoy and proceeded with the rescue of the vessel's crew. "(L'autre cote.) Make the tail of this block fast to the lower mast well up. If masts are gone then to the best place you can find. Cast off shot line, see that the rope in the block runs free & show signal to the shore. "(Other Side) Fouettez la poulie le plus haut possible sur le bas mat, ou a l'enndroit le plus favorable si les bas mats sont perdus. Detachez le ligne, voyez que la corde coure facilment dans la poulie, et faites signal au rivage." I was visiting Blanche several days ago, and the conversation turned to popular songs of the late nineteenth century, many of which were very sad. She remembered her father, Stacey Howard (1885-1968) singing one of his favorites, I'll Take you Home Again, Kathleen, written in 1875 by Thomas P. Westendorf. Although Westendorf was an American songwriter, the song quickly became thought of as a beloved Irish ballad. About a mile and a half north of the Pony Pen there is an old dune structure called Scrag Cedar Hills. In years past a distinctive stand of scrawny, wind-and-weather twisted cedars grew there. "Scrag" is a word dating from the mid-sixteenth century meaning the lean end of a neck of mutton or veal. 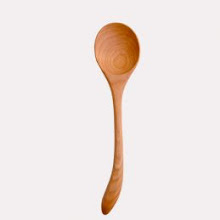 It also came to mean a rawboned or scrawny person or animal. Outer Bankers used the word to describe trees that were gnarled and twisted because of their constant assault by wind and salt spray. A couple of years ago I was walking on the Hammock Hills Nature Trail (across the highway from the NPS campground). On the boardwalk over Island Creek I noticed a blue heron feeding along the shoreline. Then I noticed a nutria (Ocracokers call this critter a Russian Rat), an invasive, herbivorous, semi-aquatic rodent, creeping up behind the heron. While I watched, the nutria jumped up, lunged at the heron, and almost grabbed it by the leg! Nutria are herbivores (they feed on grass and other plants). What was it doing attacking a heron? I will probably never know. Will wonders never cease? Although I have lived on Ocracoke for more than 40 years and my father was born here, as a child I only spent summers on the island. My father, like so many islanders, had moved up north to work on dredges and tug boats on the Delaware River. Several days ago, in a conversation with neighbors, I was reminded of the following story. Every morning two friends and I would walk two miles to our high school. In the fall of the year we would stroll through the showroom of a new car dealership to inspect the latest models. In 1960 we were amazed to see a record player installed under the dashboard of a Plymouth Fury (that's the year with the huge tail fins!). After school I was excited to tell my father and twenty-six year old brother about this fantastic accessory. They both explained to me that I had to be mistaken. A record player would never work in a car. The needle arm would bounce around and slide across the record with every tiny bump in the road. Even though I had seen the record player with my own eyes, I accepted their word of authority. So that's when I learned to trust evidence, and not blind authority, not even my own father and older brother...although they were definitely smarter than the automotive engineers! Record players in cars really were not such a great idea. Two years ago in January we had a sizable snowstorm and Dave Frum came by the house on his cross country skis. 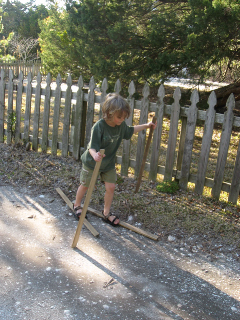 A couple of weeks later Lachlan decided he wanted skis, so he made a pair from scrap lumber in my shed. 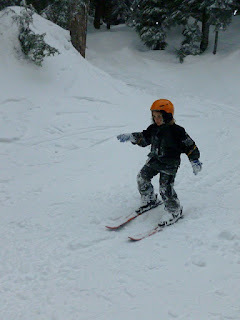 Last weekend Amy & David took Lachlan snow skiing in Canada. Lachlan called very excited. He progressed from the Bunny Slope to Blue Square slopes in just one day. He was proud of his achievements. What are we going to do now? No hills; no snow. I guess surfing will be next. Half a century ago Ocracoke men often greeted each other in a manner that would seem quite peculiar today, although it was nothing more than an old tradition with historic, even ancient, roots. You can read about it here: http://www.villagecraftsmen.com/news022113.htm. 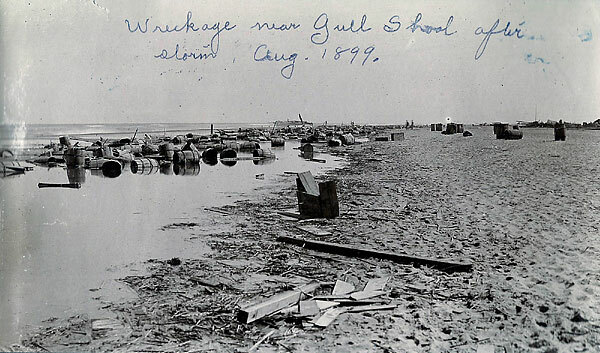 The schooner Lillie F. Schmidt stranded on Ocracoke beach at 6 a.m., March 9, 1893, about 10 miles from the Life Saving Station at Hatteras Inlet. According to the official report, "The ship was reported to the keeper at 11 a.m. by two citizens of Ocracoke. The weather was smoky with strong winds, flood tide, sea very high." "...keeper called out crew and also employed [Wheeler Howard and Mathias Ballance, the two citizens who had reported the wreck] to help as the distance was so long and laborious." "...left station fifteen minutes to eleven with mules, two sets of gear [weighing more than 1000 pounds, in a two-wheeled cart] and arrived to schooner 2:30 p.m."
"...got the gear in working order bringing them all [seven sailors] ashore in buoy [the "breeches buoy" was a pair of canvas pants attached to a life ring that was conveyed to the ship by pulleys and ropes shot to the stranded vessel from a brass cannon] by 4 trips the men of wrecked schr [schooner] were so worn out could not get them to station -- sent them up to the settlement and had them cared for the distance was so great that they could not travel." "...left wreck at 5:30 p.m. arriving at station 8:30 p.m."
"...no patrol that night up til 12 [midnight] men was so tired and worn out after walking over twenty miles I thought theys ought to rest." P.C. Vaneilder, Captain of the Lillie F. Schmidt, wrote to "Mr. Kimble, Supr. of LSS": "I desire to express my thanks to Capt. J.W. Howard and crew for their prompt service in landing myself and crew safely from vessel and attending our needs." It was all in a day's work for the members of the United States Life Saving Service! 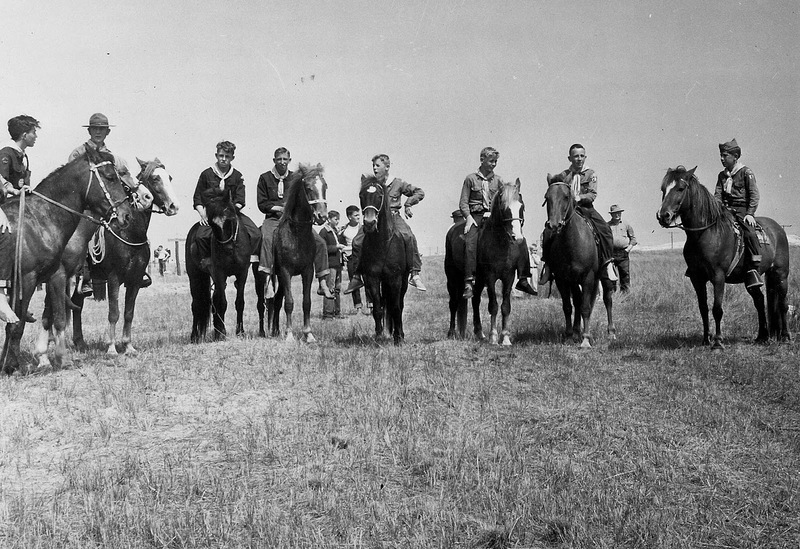 Chapter III of Earl O'Neal's book, Wild Ponies of Ocracoke Island, North Carolina, is devoted to an account of the island's mid-1950s Mounted Boy Scout Troop 290. The troop was the vision of Marvin Howard, the boys' first scoutmaster. The former scouts are now in their 60s, but they all remember Marvin fondly for his commitment to the youth of Ocracoke, and his untiring dedication to his scouts. "[Rudy] and a couple of the other scouts went by Scout Master Marvin Howard's home on Howard Street. Marvin always went in the shed and took off his dirty clothes and shoes before he went into his home, which apparently he had done. 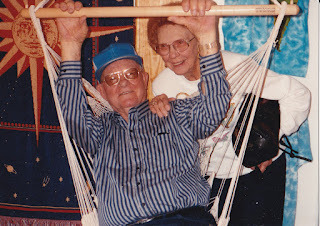 When the boys showed up, in a typical Ocracoke style, his wife Leevella came to the door and said, 'Marvin can't come out and play; he's gonna have his supper.'" Waters surrounding Ocracoke are alive with creatures great & small, and common and exotic. The seahorse is one of those fish both small and exotic. Yes, the seahorse is a true fish, a close relative of pipefish, though it swims upright, and exhibits other peculiarities. 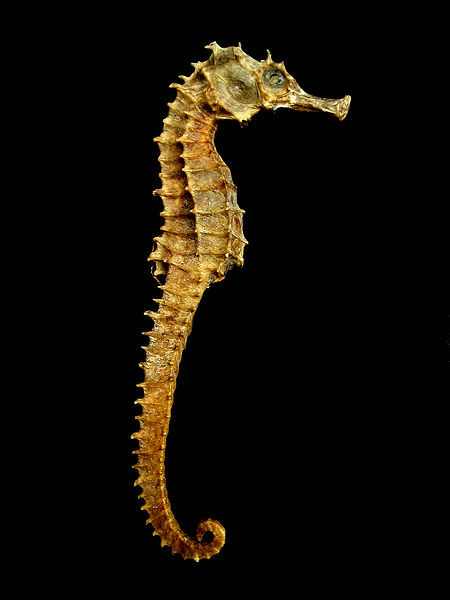 Seahorses spend much of their lives clinging to seaweed and eel grass with their tails, and the female deposits her eggs (one thousand or more) in a male's brood pouch, where they are inseminated. The fertilized eggs develop in the pouch, then hatch in about a month. I have seen seahorses swimming languidly in the shallow waters of Silver Lake harbor, near the Community Square. And beachcombers occasionally find them washed up with the tide on the ocean beach. Sailors have enjoyed rum for centuries. Pirates mixed it with water and sugar, and sometimes with nutmeg. In 1740 Vice Admiral Edward Vernon of the British Royal Navy introduced a mixture of rum, water, weak beer, and lemon or lime juice to his recruits. Two servings were issued each day. Adding rum helped make the ship's stagnant water more palatable, and diluting the rum was intended to reduce intoxication. Admiral Vernon was accustomed to wearing a coat made of grogram (a coarse fabric of silk and wool), and sailors nicknamed him Old Grog. His drink soon acquired the name as well. Today, "grog" refers to a variety of alcoholic beverages, not all of which contain rum. Daniel Tolson was a prosperous antebellum Ocracoke merchant. In 1855 Tolson, just shy of 40 years old, was appointed postmaster. He served until 1866, at a weekly salary of $9.17. In 1857 he was half owner of the the five year old, 55' long schooner, Patron. Daniel Tolson purchased a relatively large tract of land on Ocracoke, and at one time owned 22 slaves. Daniel Tolson's grave is located in one of more than eighty small cemeteries on the island. His may be the most difficult to get to. I learned of his grave site many years ago, and decided to walk to it again several days ago. I parked my car, and walked ten minutes through a small section of woodland. At the edge of a clearing I stepped into the underbrush. Pushing my way past a stand of live oaks, yaupons, and myrtles, I stood on the outer rim of a wet bog. I sloshed through and up a small incline to a ridge. Brambles, briars, and low branches conspired with dead trees, downed branches, and thorns to obstruct my path. After five minutes of struggle and effort I spied the marble headstone. I snapped a few more photos before I turned back to walk home. I've promised several people that I would not reveal the location of Daniel Tolson's grave site in order to protect the surrounding property and environment. So please don't ask. But I hope you can enjoy the photos and the mystery. It definitely wasn't pretty & pink. But you be the judge -- would you call it "fun & funky" or "red & racy"? They say "Virginia is for Lovers." But I think Ocracoke is for lovers. Happy Valentine's Day to all of our readers! If you spend more than a few days on Ocracoke you will soon discover there are more than 80 cemeteries on the island, most of them individual family plots. This number does not count the graves of Indians, pirates, shipwrecked sailors...and others buried in the dunes, in unmarked graves scattered around the village, and on shoreside land that has washed away over the years. It is not unusual for visitors to inquire about the many small children who died in the nineteenth century and early twentieth century. The photo above shows the graves of two thirds of my great-grandparents' children. Although there are only four headstones, closer examination of the cemetery reveals that there is a different inscription on each side of the markers. Eight children are buried here. Notice the two footstones for each headstone. These eight of my great-grandparents' twelve children died between 1865 and 1884. The youngest was one month old; the oldest was six years old. How tragic it must have been to loose so many children! I am researching and preparing an Ocracoke Newsletter article about Ocracoke mortality for publication sometime later this year. As grim a subject as this is, it is part of the history of this tiny isolated community where residents sometimes endured unspeakable hardship and tragedy...and yet managed to endure and prevail. Ocracoke Island is not just fishing, sunbathing, and swimming. It is also music, delicious dinners, water sports, storytelling, history, community, and much more. Sometimes visitors forget about our soundside attractions. Here are a few photos I took a few days ago. I recently started a new book, The Great Hunger, Ireland 1845-1849, by Cecil Woodham-Smith. "Dancing was the universal diversion, and Lord George Hill, who owned property in Donegal, has left an account of removing a cabin with dancing and fiddling. 'The custom on such occasions is for the person who has the work to be done to hire a fiddler, upon which engagement all the neighbours joyously assemble and carry in an incredibly short time the stones and timber upon their backs to the new site; men, women and children alternately dancing and working while daylight lasts, at the termination of which they adjourn to some dwelling where they finish the night, often prolonging the dance to dawn of day.'" 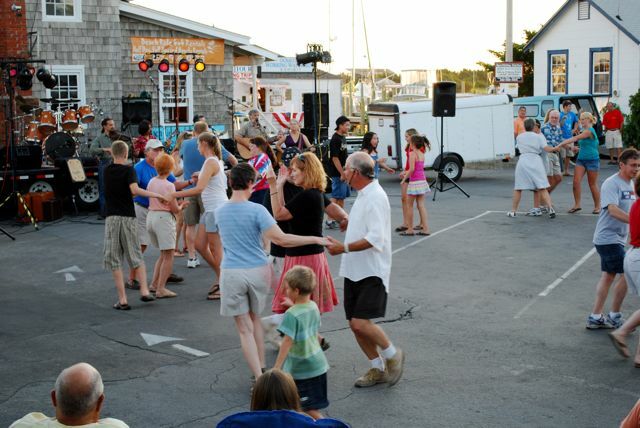 Dancing has been an important part of island social life since the very first Irish, English, and Scottish settlers arrived on Ocracoke. Over the last half century rock & roll dancing has mostly supplanted traditional Ocracoke Island square dancing (a type of "big circle" dance). But the old style dance, which was once popular throughout coastal Carolina, still survives only on Ocracoke. Ocracoke Alive, local non-profit cultural, artistic, educational, and environmental organization, will be sponsoring several dances in upcoming months. Look for more information soon. I discovered a query seeking the solution to this riddle in an interesting 19th century compendium of newspapers and journals entitled Notes and Queries, A Medium of Intercommunication For Literary Men, General Readers, Etc. The relevant London newspaper in the volume is dated Saturday December, 3 1887. A respondent named Ellen I. Delevingne provided the correct solution: "The answer is that the [knight's] name was 'Each.'" She then adds, "I always thought it a most unsatisfactory solution." I concurred until I read one of the other remarks: "The 'twelve knights' must have been Spenser’s 'doucepere,' F.Q.,’ iii. 10, 31. The name has reference to the 'twelve peers' of France, but the context shows that there was only one of him." The respondent is referring to Edmund Spencer's (ca. 1552-1599) The Faerie Queen, book 3, Canto 10, stanza 31: "Big looking like a doughty Doucepere,"
Spencer's doucepere (fr. OF doze pers, doze per, lit., twelve peers) is "an illustrious noble; specif: one of the twelve peers of Charlemagne." So my guess is that this was a literary riddle that came out of the British Isles during the Victorian period, was originally a pun on the "twelve peers" ("twelve pears"), and included a nod to Spencer's "Doucepere" (just one of the twelve knights). How could that be? The solution: Twelve peers (Doucepere) was the name of one of the peers. When the riddle was passed down in the colonies (including Ocracoke), "twelve" sometimes became "ten," and the literary reference (and the accompanying pun) was lost...resulting in "Each," not "Doucepere," becoming the name of the single knight, and the riddle becoming, as Ms. Delevingne remarks, "most unsatisfactory." Perhaps there was more to this riddle than I ever imagined as a child. Maybe the "riddle" of the riddle has been solved! Hey, at least I found this all quite interesting, even if most of our readers are rolling their eyes. The answer, my father said, was nine, but why? Recently I did a little Internet research (sometimes as good a mental exercise as doing crossword puzzles) and learned the following (likely original) version of the riddle. The solution, according to both my father and the Internet: "Each" was the name of one of the men/knights. I always thought this was a lame riddle! There is more to my "academic research" into this profound subject, but you will have to wait until tomorrow for more insights.In the meanwhile, if any of our readers remember hearing this riddle when you were children, please leave a comment. Thanks. About twenty-five years ago my cousin Robert came back to the island with some buddies for a week of fishing. Even though his grandfather was born on Ocracoke, Robert decided he needed a guide to take him out in the sound. 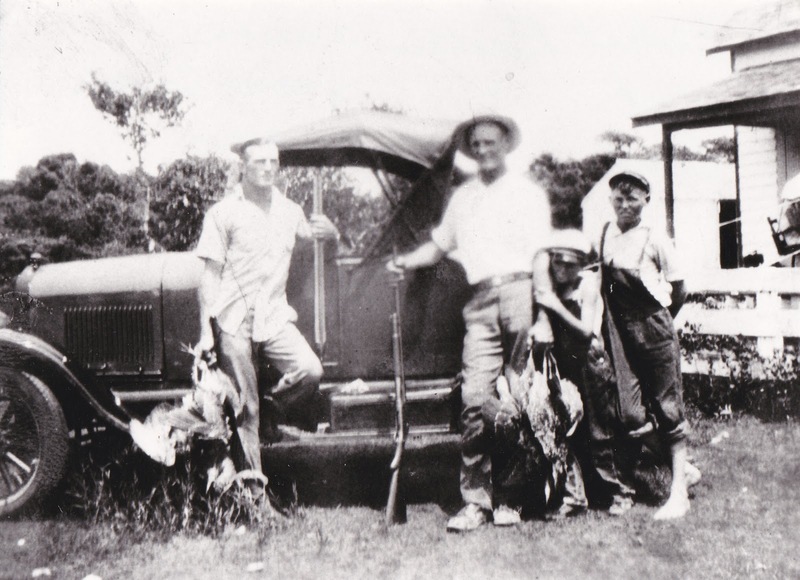 Robert enlisted my father to accompany him and his friends in their small boat. They motored out the ditch, then continued past Teach's Hole and out toward Ocracoke Inlet. At the first sea buoy Robert turned to my dad and asked, "What should we do now?" "I don't know," replied my father, "I've never been out this far." As David Cecelski relates in his book, The Waterman's Song, Slavery and Freedom in Maritime North Carolina, "...only a few [Outer Banks] boatmen bothered to venture beyond local sounds into the Atlantic." He elaborates by noting that "[e]ven on the Outer Banks, fishing was rarely a serious vocation,...[it] was a subsistence enterprise,..."
Times have changed, of course. Charter boat captains now routinely carry sport fishermen out to the Gulf Stream, and Ocracoke has a thriving fishing industry, but most commercial fishing is still done in Pamlico Sound. On Sunday, December 5, 1819 the sloop Henry wrecked on the south end of Ocracoke Island. Captain Hand was the only person of the seven on board who survived. We are fortunate that a letter he wrote from Ocracoke five days later was published on January 15, 1820 in the Norfolk Beacon and Portsmouth Advertiser. I...am gaining [strength], having received the kindest treatment, and every possible care from the inhabitants. My chest has been picked up, but it had been opened, and all my clothes of value taken out. I am here almost naked...."
This letter is a testimony to the empathy islanders had towards the victims of shipwreck (they provided "the kindest treatment, and every possible care"), but also the feeling of entitlement to any material goods that washed up on the beach.They were kind and generous, but also poor. Ocracoke guitarist, Martin Garrish, sometimes performs the 1947 song, "I'm My Own Grandpa" written by Dwight Latham and Moe Jaffe. It is a clever, funny song that is guaranteed to bring smiles to nearly everyone in the audience. 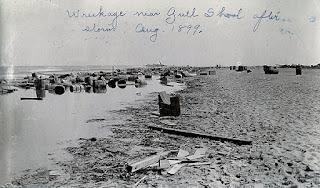 Not long ago I was doing some genealogical research for an Ocracoke Preservation Society museum display. Since I am related to most of the historic island families, my line popped up here and there. At one point I discovered that my children are also my cousins! That's right, Amy & Stefen are my 7th cousins. Of course, that makes my father, my grandparents, and my grandchildren my cousins also. Looked at from another line, since one set of my great grandparents were 2nd cousins, I am my own 5th cousin! It's too complicated to explain in detail. I'm just glad my mother's family was from Hungary! Some time ago I watched the video, Memento, a complex, often confusing movie that was rewarding, but hard work to watch. This was my second time watching Memento, and I have to admit it made a lot more sense the second time. One more time would help, too! At least two things make it a difficult movie to watch. It proceeds backwards in time, in a series of relatively short segments...and the main character (with whom the viewer identifies) has lost his recent short term memory, so it's a challenge to follow the action and make sense of what is going on. The first reason I mention this movie (and the main reason I chose to watch it a second time) is that I have had a series of TGA (Transient Global Amnesia) episodes. Although not as severe as the disorder portrayed in the movie, and very short-lived (TGA typically lasts only about 4-5 hours), the symptoms are otherwise quite similar. During a typical TGA episode I am unable to recall recent, mostly new information (names, numbers, dates...during my last encounter I had no idea what year it was, though I knew it was sometime in the 2000s), but am totally connected to who I am, where I live, etc. and have no trouble functioning (talking on the telephone, making decisions, etc.). Still, I can't remember certain details afterwards, and I repeat questions and comments over and over again (like an Alzheimer's patient) because I can't remember that I already said the same thing just moments ago. Happily, this disorder generally manifests only once (although sometimes more often -- I have had it about six times), doesn't seem to be connected to any other physical or mental disorders, and as far as I know, is not predictive of any future cognitive problems. The second reason I mention TGA is that I know of two other people on Ocracoke who have had TGA. My understanding is that it is an uncommon disorder. Information on the Internet suggests that the worldwide incidence of TGA is between 3 & 30 for every 100,000 people. The first doctor I consulted had no idea what was going on. But it seems strange to me that at least three people in this small community of about 950 people have had at least one TGA episode. There may be more, of course. But still, that's somewhere between 10 and 100 times the worldwide average. I'm wondering if the statistics for Ocracoke really are unusual. If you've had it, do you know of other family members or friends who have had it? Just curious. My house was built in the 19th century. It still has a few original window panes ("lites" or "lights" as they are still called on Ocracoke). The original lights can be identified because they are wavy. If you look out the window and move your head from side to side the trees and fences across the lane seem to shimmer and sway. Glass is a peculiar material. Some call it a solid-like liquid; others call it a liquid-like solid. Although glass does "melt" slowly (very slowly), one mathematician estimates that it would take about ten million years for a window pane to get 5% thicker at the bottom. On Lou Ann's blog she periodically posts a snapshot she calls a "View Out My Window." Recently, as I was taking my morning shower, I thought about the beautiful view from my shower window. And I decided to share it with our readers. Only after taking the photo did I realize that Lou Ann made an almost identical picture about a year ago that she posted on her blog. "In 1800 the ever-increasing number of shipwrecks and lost cargoes led North Carolina to establish wreck districts with a commissioner or agent in charge of each of them to take possession of materials that washed ashore as the result of shipping disasters. Those officials, who initially were appointed by the governor and later by the county courts, attempted to determine the owner of the wrecked cargo and convened an auction, known as a vendue, for its disposition. According to the terms of vendue, the owner of the cargo, the person who salvaged it, and the agent all received a share of the selling price." This morning I have three photos to share. My cousin Becky sent them to me a few days ago. Enjoy. This first picture was taken in front of my house. When I initially published this post I thought the photo was taken about 1930 because my Aunt Thelma had written on the back of the picture, and identified the people as her brothers, Marvin, Enoch, and Homer. Amy looked at the picture and saw another, smaller child holding onto the arm of the man wearing the hat. I had not even noticed the younger child. So I reconsidered, and thought maybe the photo was taken earlier, and that my dad might have been in the picture. Then I did the smart thing, and carried the photo to Blanche. She recognized the people right away. This is who is in the picture (from left to right): James Enoch Howard (b. 1903), Marvin Wyche Howard (b. 1897), Richard Olin Howard (b. 1920, Marvin's son), and Homer Rodheaver Howard (b. 1917). The photo was taken about 1930. Enoch, Marvin, & Homer were brothers, my uncles. The next photo is of my Aunt Thelma when she was 18 years old (1930). It was taken on the steps of the Ocracoke schoolhouse. This last picture, of my father (Lawton) and Aunt Thelma was taken about 1990.